I'm a sucker for a good Italian meal, whether it's at a restaurant or dining at home. That said, I find it increasingly difficult to find really good Italian food in my little corner of Southwest London. We've had some really great local Italian restaurants in the past, but they didn't last for one reason or another, breaking my heart every time they closed their doors for the last time. Recently some friends invited us out for dinner at Meridionale in Fulham and it's become one of my favourites! Just over the bridge from where I live in Putney, it's about a 25 minute walk from my flat door-to-door, it's adorable and the food is delicious. I was immediately taken with how Meridionale seems to embody the vibe of a real Italian restaurant... Comfy, but not too fussy, familial and charming. The staff are friendly and the atmosphere is warm and inviting. When it comes to the menu, Meridionale is doing something right that I think too many Italian restaurants in London ignore... They're serving up a good number of classic, recognisable dishes. 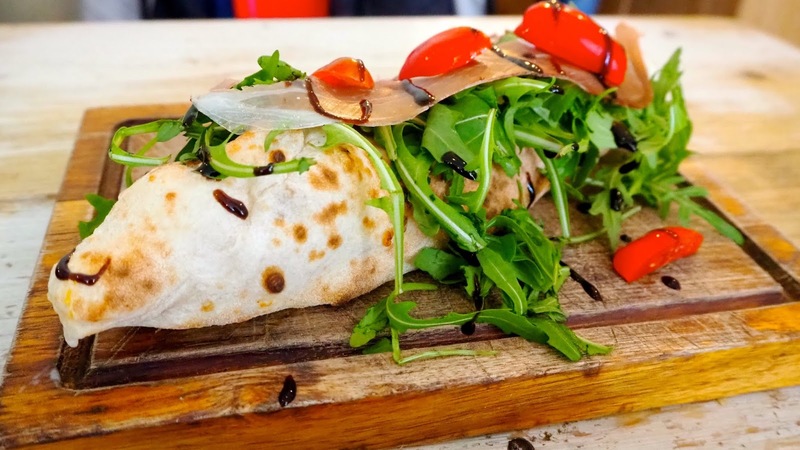 While there are plenty of choices that may not seem like the norm to attract the most adventurous of foodies, there are also a selection of familiar pizza and pasta options on the menu. I can't tell you how many times I've been at an Italian restaurant when I couldn't order a simple pizza or Carbonara option. While some people may be content with a completely new and inventive menu, it's my opinion that an Italian restaurant that seeks longevity is best served with a few basics on offer and Meridionale has more than just a few. 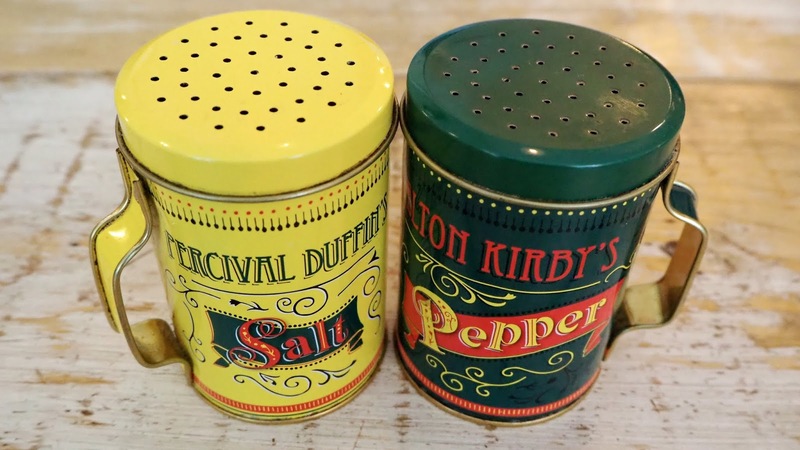 On my first trip to Meridionale, we kept it simple and I didn't have any plans to review it. We split a few starters with the couple who invited us and I opted for a simple Margherita pizza, but it was all so delicious that I knew I had to come back and try more. On my second visit, I found myself ordering the same starter that had stolen my heart before... The Panzerotto is a deep fried mini pizza that's folded into a half moon shape similar to a pasty. 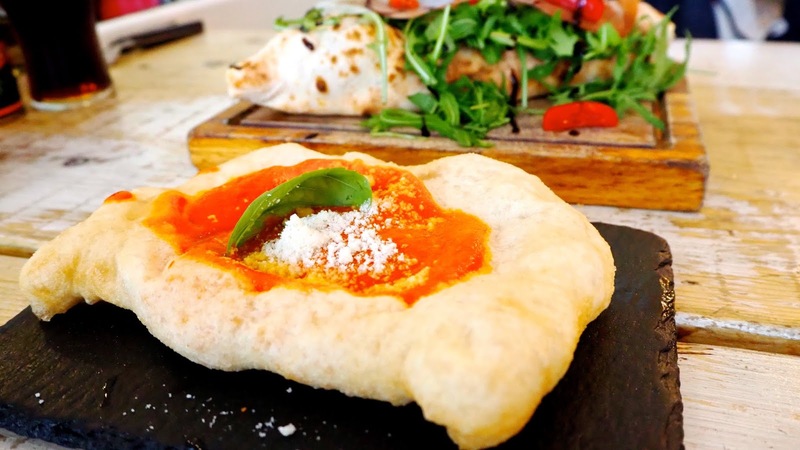 It's filled with tomato sauce and buffalo mozzarella and topped with tomato sauce, parmesan cheese and fresh basil. The first time I had it, I felt like it was one of the best things I've ever tasted... Upon trying it a second time, I'm happy to report that my feelings hadn't changed in the slightest. 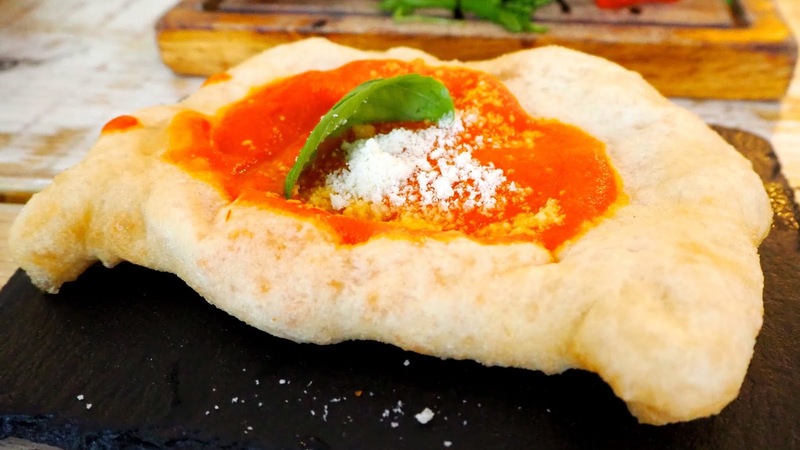 The best way I can think to describe this is simply that it's like a cheese-filled pizza donut. Indulgent, flavourful and filling, this is one that's great for sharing, but if you're greedy like me, order one to keep all to yourself. Similar to the Panzerotto, my husband ordered the Tronchetto Parma & Bufala. Focaccia stuffed with buffalo mozzarella, topped with Parma ham, rocket salad, extra virgin olive oil, Sicilian cherry tomatoes and balsamic glaze, I like to think of this as a more grown-up version of the Panzerotto. For our main dishes, we had a decision to make that always stumps me... Pizza or pasta? I rationalised that since we'd made a special trip for the purposes of a blog review that we should order both and so that's what we did. We ordered enough to feed a small army and I'm pleased to report that we made a healthy dent in what was brought to our table though we couldn't possibly finish everything. First up was the Gnocchi alla Sorrentina, which is quite possibly my favourite gnocchi dish ever. 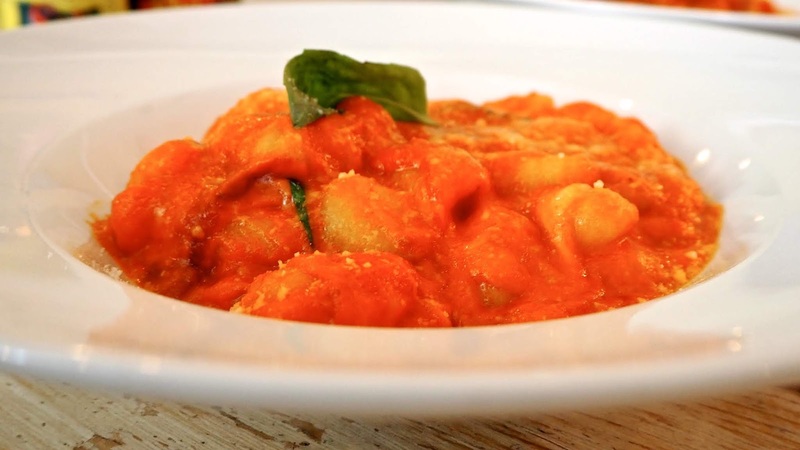 This dish features traditional potato dumplings served in a tomato sauce with melted mozzarella, topped with basil and parmesan cheese. The gnocchi are soft & fluffy, the sauce is rich, but the real winner here are the melty globs of mozzarella. 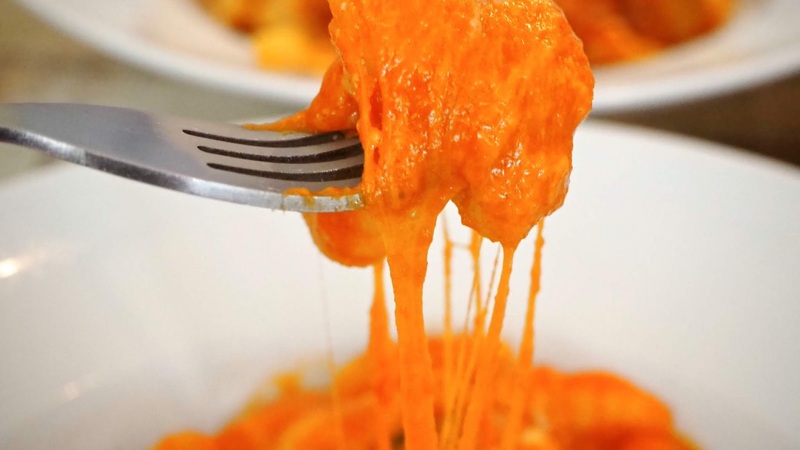 If you love a good cheese pull, this is the dish you need to try next! 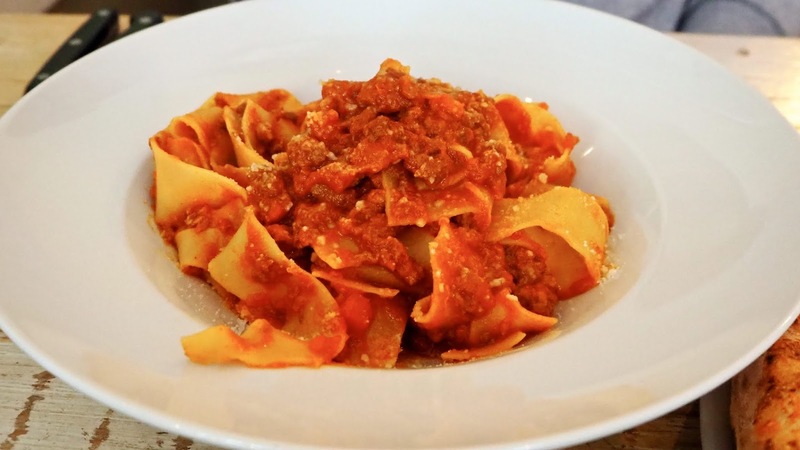 The Pappardelle al Ragout (Bolognese Casareccia) features the homemade pasta ribbons coated in a beef & pork ragout, topped with parmesan cheese. The sauce is delicious, the pasta perfectly cooked and the taste is classic. This is a good old fashioned bowl of pasta... Not at all fussy and absolutely delicious - there are no bells and whistles here, just Italian simplicity at its best. It's just what you want when you're looking for classic comfort food. The pizza at Meridionale is on point and the pizza menu on offer is nice and varied. 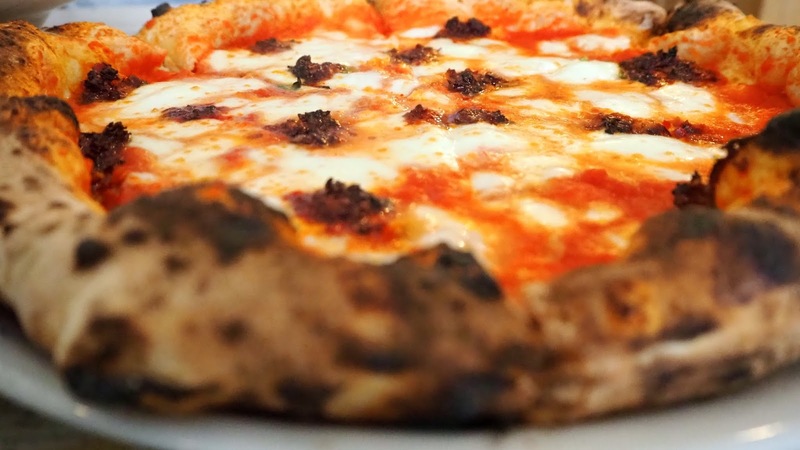 Since I'd had the Margherita before, we decided to try something new and get the Nduja Pizza which is topped with a spicy, soft sausage that I absolutely love. When it comes to Nduja, it really comes down to the quality of the sausage in my opinion. Not all Nduja is the same as I've come to find out with some of them being a bit too spicy or having a bit of an unpleasantly strong taste. The Nduja Pizza at Meridionale hits all the right notes with a thin base topped with tomato sauce, mozzarella cheese and dotted with spicy little pockets of delicious Nduja. I love this pizza and it went down a treat! It has just the right cheese to sauce ratio and packs a punch of spicy flavour. 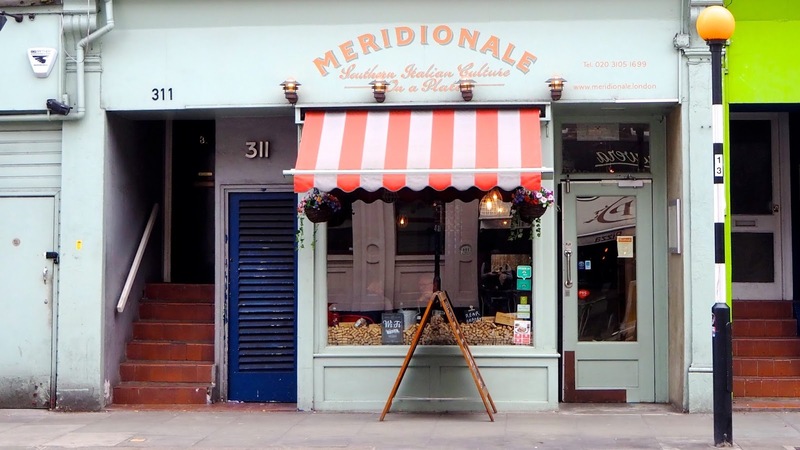 Meridionale is definitely a must for anyone living in or visiting the West London area that loves a great Italian meal! It's kid-friendly, lovely for a date and perfect for either lunch or dinner. Meridionale isn't too expensive either with many of the dishes ringing in at under £15. We enjoyed two starters, three mains, four Diet Cokes and two coffees for just about £75, which isn't too bad for a meal out in West London. The menu features many vegetarian options and there's also a separate menu for the little bambinos. Meridionale is located on the Kings Road in Chelsea right between the Parsons Green and Putney Bridge stops on the District Line. Click here for more information or to make a reservation.